Is Cash on It’s Way to Becoming Obsolete? I just wanted a cold Pepsi on a hot day. A simple transaction that I have made thousands of times before. I could almost taste the carbonated wonderfulness going down my parched throat. Little did I know it would be a change-defining moment. I opened the door to the Dunkin’ Donuts and headed for the refrigerator case. “Ah, there you are my lovely,” I thought. I took it to the counter and saw the sign that ruined my moment. “Cash or non-chip cards only. Sorry for the inconvenience.” I never carry cash, and my bank only issues chipped cards. There will be no Pepsi for me, at least at this establishment. As I took my thirst to another store, I pondered, “When was the last time I used cash for anything other than helping out someone in need?” I couldn’t remember. Is cash dying? How did we come to this? What’s next on what seems to be the inevitable path toward a completely cashless society? On behalf of my curious friends who read Gildshire, I decided to do some research. The first thing I found out was that I may be ahead of my time. (When is the last time that happened?) In fact, the presumption that cash will soon be eliminated by online commerce, chip cards, and mobile payments has been around for at least a decade. Goodness knows, there are enough apps and gadgets with which to make payments. However, even with all of that at our disposal, about 85% of the retail transactions worldwide are still carried out in cash. That will change as future generations migrate to digital money. More than half of US millennials use mobile payments, as opposed to 32% of Boomers. Nothing says “instant gratification” like scanning the Apple Pay for your Jimmy John’s, and the kids know it. And yet, in spite of the ease of use and uber-convenience of mobile payment applications, there are reasons why cash is hard to kill off. It’s time-tested, isn’t subject to the occasional glitch (Card declined? WHAT THE…) and doesn’t care if your phone’s battery is dead. Also, cash is often the only currency that works during an emergency. The good people in the Carolinas know that all too well right now. But, change is coming, and international governments are all for it because minting and printing bills are expensive! That’s why Norway, Sweden, and Nigeria are working to take cash out of circulation. 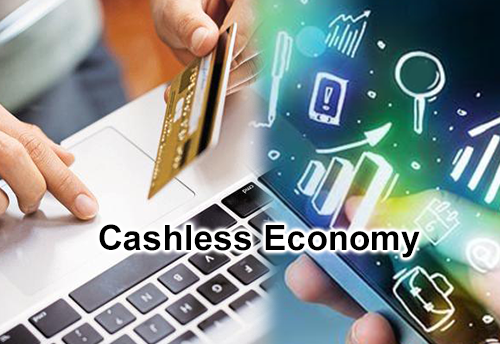 A recent study from Forex Business reported that Canada is the world leader in the move to a cashless society. Canadians average an astonishing 2+ credit cards for every man, woman, and child in the country, and are a world leader in mobile payments. Within Sweden, which is second only to Canada, just 20% of transactions are made with cash. Mobile payment adoption here in the United States has been slower. So far, the older generations see no need to switch from cash and traditional credit cards. That’s probably why, as of mid-June 2018, mobile payments make up just 1% of our in-store transactions. That, according to 451 Research. Are there good reasons other than tradition and stubbornness for America to cling to the old ways? My experience at Dunkin’ Donuts was mildly traumatic but in no way a driver of cultural monetary policy. Pros for the use of cash: There’s no app necessary, and your information remains your own secret. E-transactions expose your info, even if just for a fraction of a second. Cash is universal, and merchants avoid transaction fees. Cons: Cash must be protected and stored. It also must be replaced. Cash isn’t convenient for large purchases. Take a suitcase full of cash downtown to buy a car. Suddenly, you’re Johnny Twoguns. But there is another type of transaction that makes the total demise of cash unlikely. There are financial moves that people may want to be kept private. They don’t want an e-trail keeping track. These transactions will remain cash money transactions. That said, the move toward cashless is inexorable, even if it is slow. How do I know? Because of the scout troop taking debit cards at the door to the supermarket. I may not be able to buy a Pepsi at the nearest Dunkin’ Donuts, but I can get my Samoas from the Girl Scouts. Time marches on.